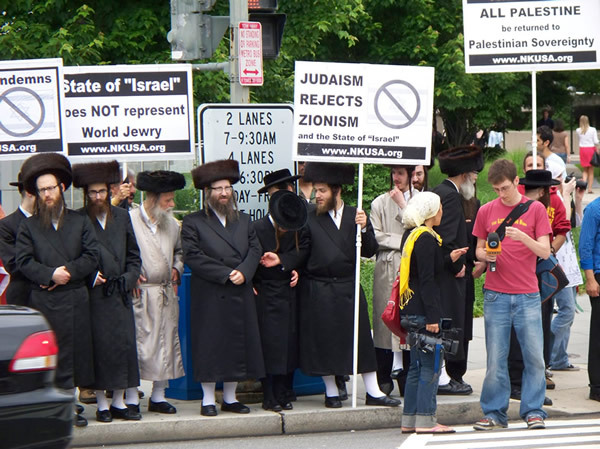 READ Statement prepared by Neturei Karta International, Jews United Against Zionism, for the "End the Siege of Gaza Rally" in Washington, D.C., June 6, 2009 in solidarity on the 42nd anniversary of Israel's seizure of Gaza. Listen to the statement issued by Neturei Karta and read by an event representative (because the protest was held on the Jewish Shabbat during which observant Jews cannot speak into microphones). 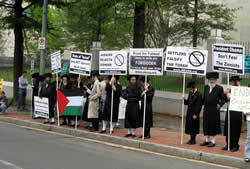 Statement prepared by Neturei Karta International, Jews United Against Zionism, for the "End the Siege of Gaza Rally" in Washington, D.C., June 6, 2009 in solidarity on the 42nd anniversary of Israel's seizure of Gaza. With the help of the Almighty, we have come here to participate and stand in solidarity in expressing the pain of the Palestinian people, who have been wronged and robbed, especially on this day 42 years ago. We sympathize with their plight, and we are embarrssed and humiliated that such crimes have been committed and continue to be committed in our name. Such crimes are strictly forbidden by the Torah, and they are also serious violations of human rights. But it goes even further than that. According to the Torah, Jews are not allowed to have any state at all. 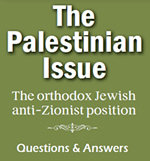 Therefore, we proclaim that authentic Jews around the world have no connection whatsoever to the Zionists, their actions or their state. The name, identity and symbols of authentic Jewry have been hijacked and kidnapped, and its voice is seldom heard, because the Zionists persecute and humiliate anyone who does not agree with their ideals and goals. 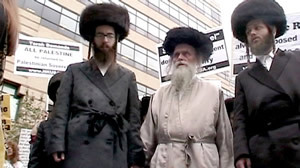 But true Jews throughout the world are strongly opposed to them. The Torah commands us to be submissive, loyal and peaceful wherever we live. We must be respectful to all human beings, and especially to the leaders of the countries in which we reside. This is how Jews always conducted themselves over the centuries, and this is how truly observant Jews continue to conduct themselves today. True Jews do not involve themselves in disrupting the interests of nations. 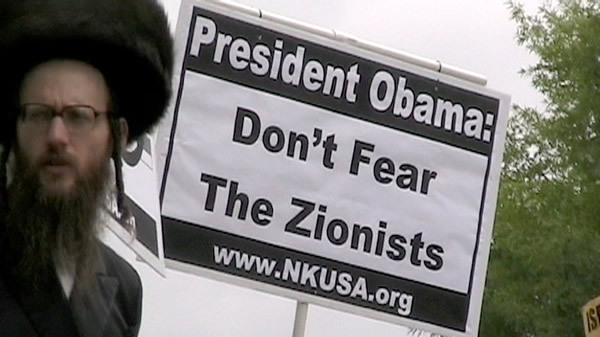 We condemn the Zionist attack against President Obama and other world leaders. We, as Jews are required to be, and are more grateful to the Arab and Muslim countries for the friendship, hospitality and safe haven that has been accorded to the Jews throughout these thousands of years. This, of course, includes the people of Palestine, and therefore what is being done to the Palestinian people by the Zionists is to us so much more criminal. We protest against the existence of the Zionist state in general, and against their actions in particular. True Jews cry out their pain at the suffering of the Palestinians. We look forward to the peaceful and speedy end of Zionism and its state, and we look forward to the day when, in the words of the age-old Jewish prayer, "all nations will become one in doing the will of the Almighty with a full heart." Amen.